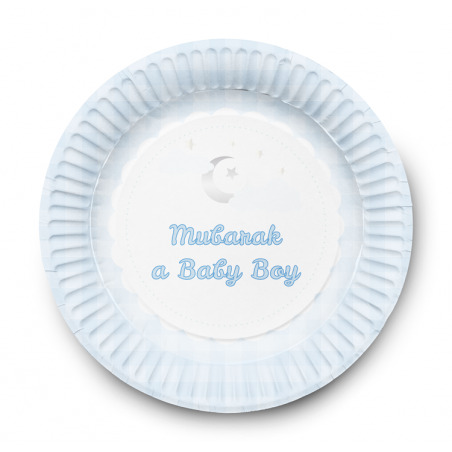 Dessert plates with "Mubarak it's a Boy" print. 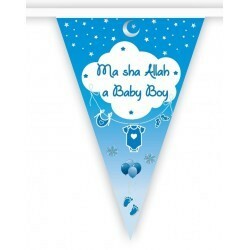 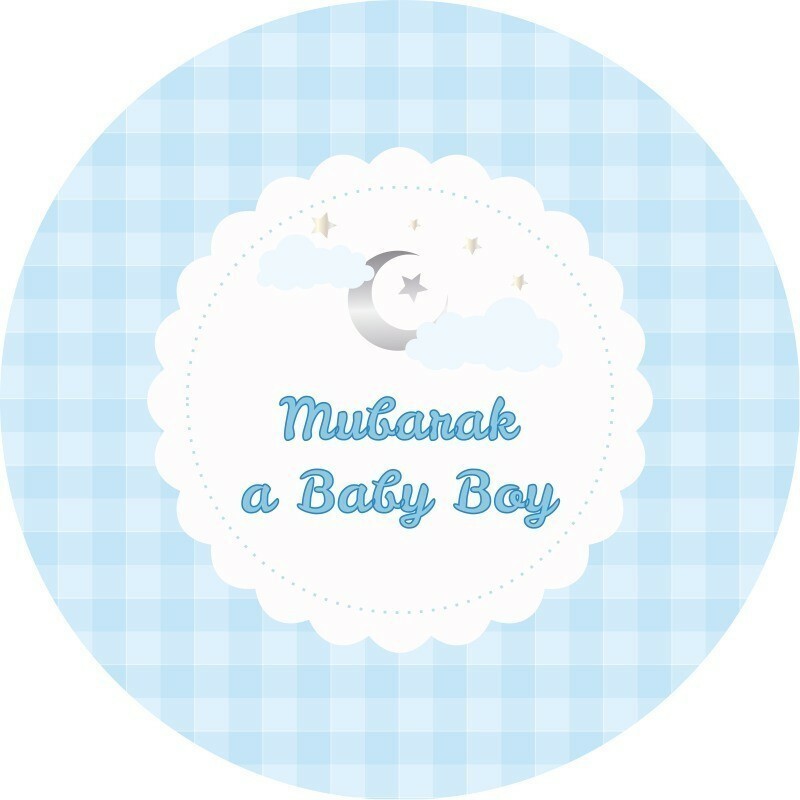 Our Bunting with "Ma sha Allah it's a Boy" design will make your party really special! 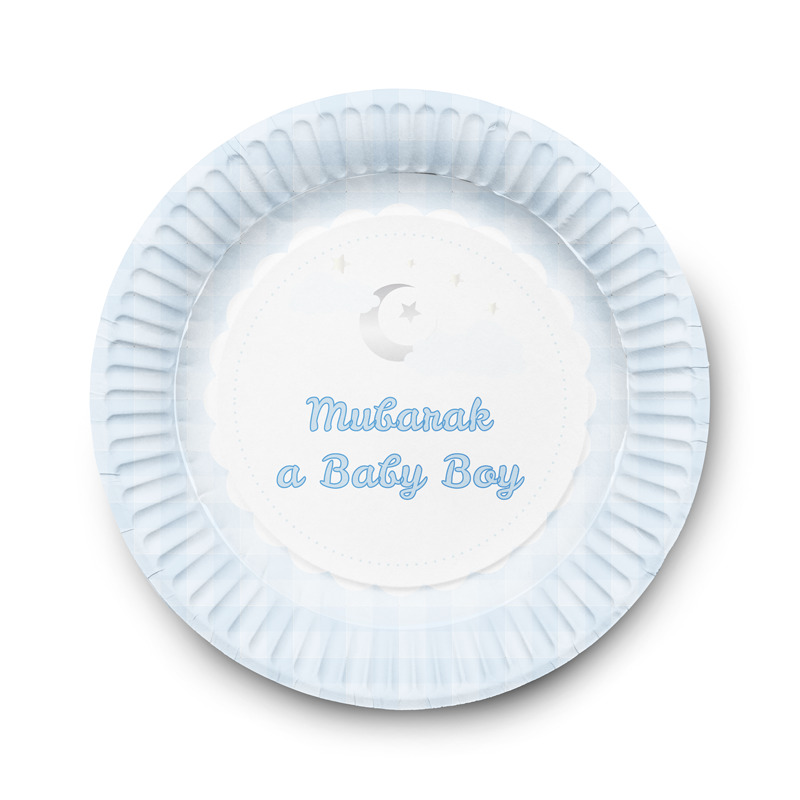 This pack has two designs, one on each alternate pennant flag. Our colourful Balloons Ma sha Allah a Boy (10pk) will make your party really special, perfect for creating a wonderful atmosphere!